Easily remove past-its-prime paint with these high-performing paint strippers. Some paint prep is easier than others. On a piece of furniture with only a few isolated peeling patches, you can simply scrape, sand, and prime before repainting. 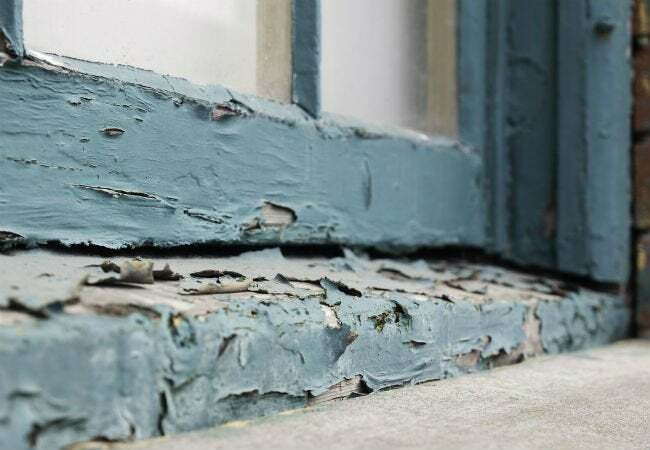 But if tackling a project that has already had many layers of paint—and likely shows widespread chipping, cracking, or blistering—you’ll need to remove all the existing finish before pressing on with your project. You could do this manually, with a hand sander and ample elbow grease (not an option with lead-based paint), or with a commercial stripper, which will take care of business do with far less time, effort, and mess. The latter is the only safe do-it-yourself option for lead-based paint removal because sanding sends toxic lead particles airborne. 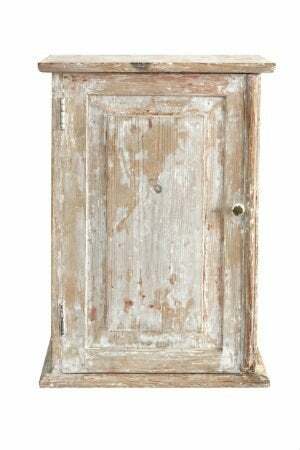 Plus, strippers are generally called for to remove paint when restoring antiques or intricately carved items to get into all the crannies. Before you set out to pick one up, know that not all strippers are suitable for all types of paint and surfaces, and some have harmful chemical ingredients that require you to take special precautions. Keep reading to learn about paint stripper composition and how to use these products safely—as well as our recommendations for the best paint stripper in each category—to do a clean job on your next project. There are four main types of paint strippers, each with unique properties that make them better suited for removing particular finishes from specific surfaces. Some strippers are also more effective at removing epoxy and polyurethane, two long-lasting synthetic coatings that are ubiquitous on such surfaces as garage floors. The most versatile paint strippers, these products rely on chemicals to loosen the bond between paint and surface. 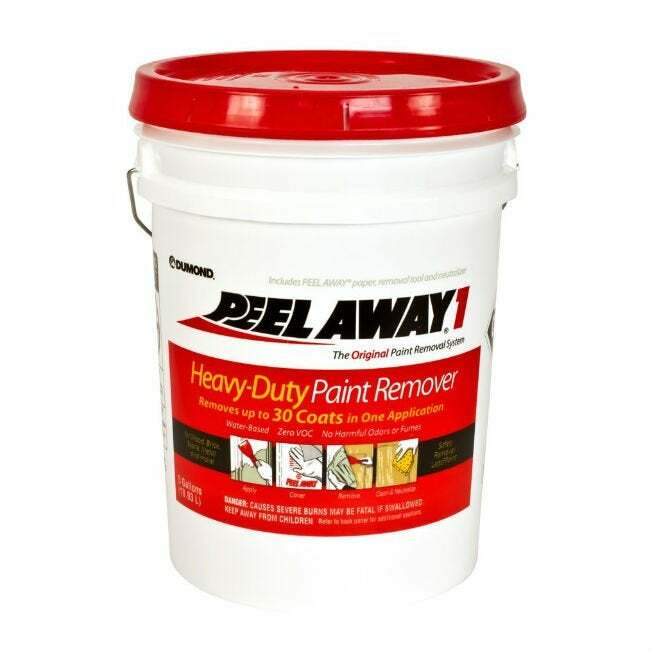 They effectively strip water- and oil-based paint as well as epoxy and polyurethane from wood, masonry, and metal surfaces without discoloration. While some have methylene chloride, which has a high volatile organic compound (VOC) content, others include a combo of alcohol, toluene, and methanol. High-VOC products generally have smellier fumes and are more of a health hazard than other strippers. Directly inhaling the fumes of methylene chloride-based strippers can damage the brain or reproductive system, so always wear a respirator (in addition to safety glasses, skin-covering clothing, and gloves made of a chemical resistant material like butyl) when handling them. Fortunately, solvent strippers need only be applied in a thin layer (usually less than ⅛-inch) and stay on the surface briefly (often less than 15 minutes) before paint can be easily lifted off with a paint scraper. The stripped surface must then be washed with water or mineral spirits before repainting, but it won’t require a neutralizing agent. These strippers with an active ingredient of lye (i.e., sodium hydroxide) partially convert dried paint into soap, causing it to loosen from the surface. Caustic strippers are ineffective on epoxy and polyurethane; they’re best for removing oil-based paint on masonry surfaces such as concrete floors or brick fireplace surrounds. While they can also remove water- and oil-based paint from some metals and wood, caustic strippers can erode the likes of aluminum and blacken such hardwoods as maple (this darkness can be removed with wood bleach). Caustic strippers must be applied in a ⅛-inch to ¼-inch layer and require a dwell time of at least 30 minutes before paint can be scraped off. Because caustic strippers are alkaline (high pH), the stripped surface must be neutralized (returned to a pH of 7) by wiping it down with a water and vinegar solution. Note that while caustic strippers can irritate the eyes, skin, and lungs if touched or inhaled (making a respirator, safety glasses, skin-covering clothing, and chemical-resistant gloves necessary when working with them), they’re considered safer and lower in VOCs than solvent strippers. These safer alternatives to solvent and caustic strippers are usually made with a combination of a plant-based solvent such as terpenes (found in pine trees and citrus fruit rind) and the organic compound N-methyl-2-pyrrolidone (NMP). Though lower in VOCs and fumes, NMP can still irritate the skin and adversely affect the respiratory and reproductive systems, so a respirator, chemical-resistant gloves, and skin-covering clothing should still be worn when handling them. Biochemical strippers can remove water- or oil-based paint from masonry, metal, and wood, but they’re ineffective at removing epoxy and polyurethane coatings and can leave loose wood fibers on the surface of stripped wood. They must be applied in a thick ⅛-inch to ¼-inch layer and be left on the surface between three and four hours before paint can be removed with a scraper. While you will wash the stripped surface with water or mineral spirits, there’s no need to neutralize. If you’re concerned about using the strippers listed above, consider VOC-free paint removers made without methylene chloride, lye, or NMP. These virtually odorless (and pricier) products are made with naturally occurring solvents like benzyl alcohol that help break down the resins of water- and oil-based paint to loosen it from metal, masonry, and, to an extent, wood; they’re less effective at removing epoxy and polyurethane. While these are the safest strippers available, direct exposure can still irritate the lungs or redden the skin, so a respirator and safety gloves are still recommended. Zero-VOC strippers usually require an application of ⅛-inch to ¼-inch and dwell time of three to 24 hours before paint can be removed. Follow up with a rinse with water or mineral spirits (no neutralization needed). In addition to the safety gear requirements mentioned above, follow these practices for safe and effective use of any paint stripper. • If stripping old paint in homes built pre-1978, test with a lead paint test kit (available at home centers for $7 to $15). If the test is positive, you must choose a paint stripper labeled for use on lead paint (these strippers may fall into any of the four categories of paint strippers above and usually come in a paste or gel form to trap lead particles and keep them from going airborne). • Lay a chemical-resistant tarp over the floor and any furniture you can’t move out of the room. window on two opposite sides of the room for ventilation. • Dip a disposable paintbrush into the stripper to apply in the thickness recommended on the package instructions. Move the brush in short strokes in a single direction (on wood, move in the direction of the grain). If the product came with laminate paper squares for easier paint removal, adhere the squares to the wet stripper immediately after application. • Let the paint stripper stay on the surface for the recommended dwell time on the package instructions. • Use a paint scraper or a drywall knife whose edge has been slightly dulled with a metal file to lift off the loosened paint (and any laminate paper squares) in a continuous motion and in a single direction (in the direction of the grain if stripping wood). Sweep the paint waste into a re-sealable plastic bag with the scraper. • If any paint remains trapped in the grooves of porous surfaces such as wood or masonry, gently scrub the surface with a plastic mesh scouring brush (or, if outdoors, rinse the surface with a power washer) to remove. 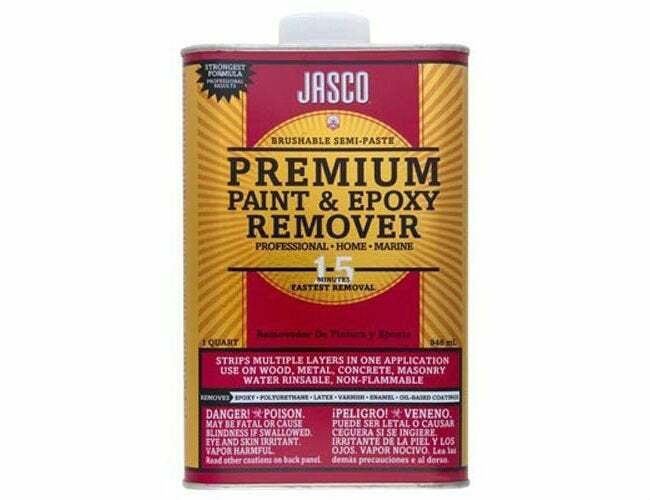 • If the paint stripper requires a neutralizing step, use the solution recommended on the package (or a solution of equal parts vinegar and water), then test the pH of the stripped surface with pH paper to ensure it has a pH of 7. • For paint strippers that don’t require neutralizing, wash the stripped surface with the cleaner recommended on the packaging (usually plain water or mineral spirits). • Let the surface dry completely; turn on portable fans in the room to speed up drying. • Discard the bag of paint waste at a local hazardous waste disposal site, which you can find by entering your zip code or address in the Resource Conservation and Recovery Act Information (RCRAInfo) search tool. Stumped on where to start? Don’t delay your paint project any longer—we’ve done the dirty work and found the best paint strippers available today, one for each type. Figure out which works for you from this list of fan favorites, each reviewed (and praised) by DIYers like yourself. A single application of this powerful methylene chloride-based indoor-outdoor paint stripper is enough to eat away at multiple layers of paint, varnish, lacquer, shellac, epoxy, or urethane from wooden desks, metal patio chairs, masonry fireplaces, and the like. Rated 4.2 out of five stars by Amazon reviewers, the fast-acting formula brushes on as a gel and requires only 15 minutes of dwell time. Available on Amazon. This paint stripper kit includes everything you need to strip up to 32 layers of water- or oil-based paint (lead-based included) from wood, metal, masonry, and plaster: an alkaline paste stripper made with sodium hydroxide, a plastic applicator, laminated paper squares for easy removal of paint, and a neutralizing solution and pH test kit to restore the stripped surface to a neutral pH after paint removal. Rated 3.8 out of five stars by Amazon reviewers, the inflammable, low-odor formula is suitable for indoor and outdoor use on everything from basic doors to intricately carved moldings. Available on Amazon. Formulated with citrus terpenes and NMP, this indoor-outdoor paint and varnish stripper with a citrus scent earned 3.9 out of five stars on Amazon. It has a gel consistency to loosen multiple layers of water- or oil-based paint, varnish, shellac, or epoxy from wood, metal, or masonry in less than half an hour of application without corroding the painting surface. Available on Amazon. 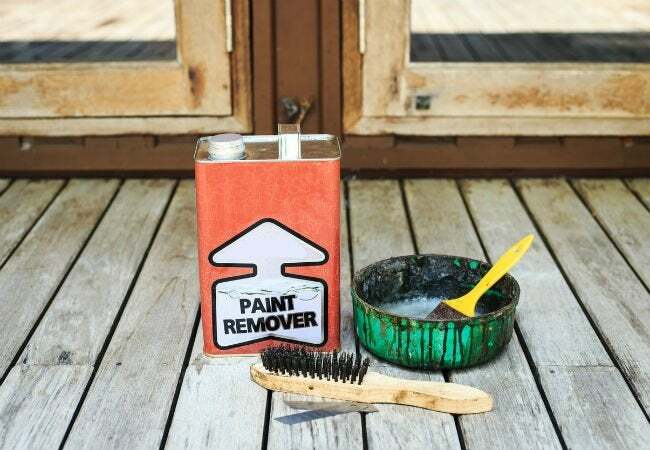 The methylene chloride- and NMP-free formula of this biodegradable paint stripper imparts no nasty fumes as it removes paint (even lead-based), varnish, and urethane from wood, metal, masonry, and other surfaces indoors and out. 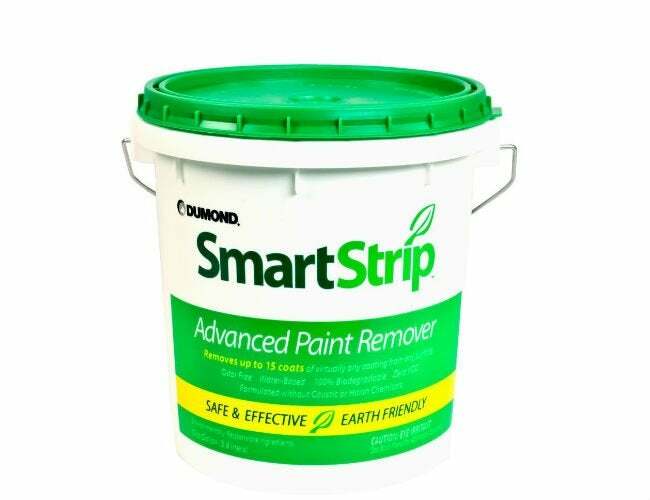 Amazon reviewers gave Smart Strip 3.5 out of five stars for its convenient application by brush, roller, or sprayer and its success in stripping new and decades-old paint coats from masonry fireplaces, iron railings, and more with ease. Available on Amazon.